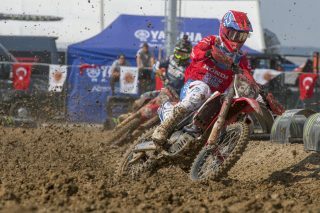 The good weather of this 2018 world championship season continued at the impressive Afyon circuit in Turkey where Tim Gajser put his Honda CRF450RW up on the podium for the second round in succession while Hunter Lawrence was extremely unlucky to miss out on what would have been his third MX2 podium in a row as the Australian finished fourth overall, tied on points with the third place rider. 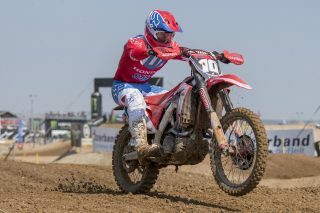 It was bitter disappointment for Team Honda 114 Motorsports Hunter Lawrence who just missed out on a fully deserved podium spot. 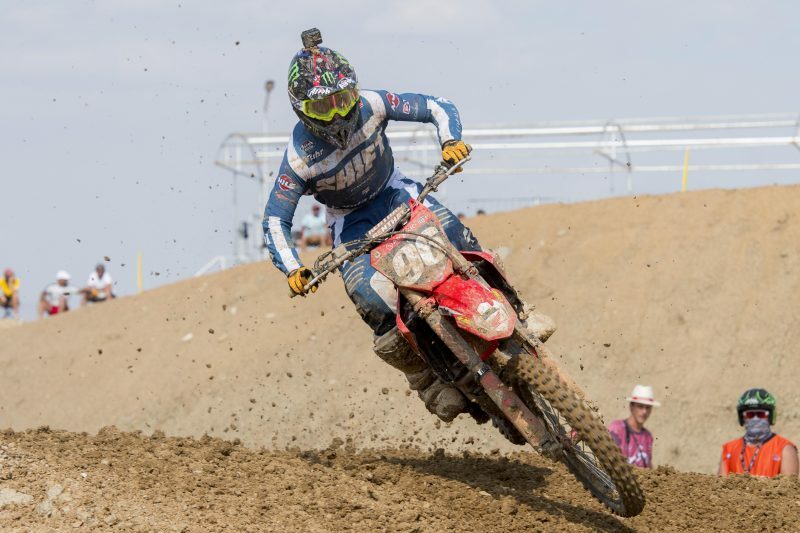 With four laps to go, Lawrence was sitting second overall, but a change of the lead and all of a sudden and he was relegated to fourth place, level on points but losing out on the second moto tie-breaker. 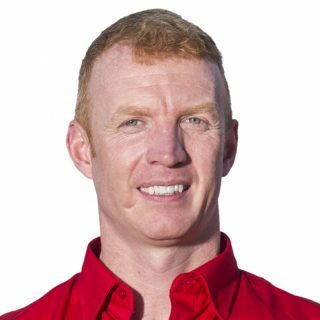 This was a real shame as the Honda CRF250R rider had finished second in the moto one, pressuring for the lead for most of the second half of the race. 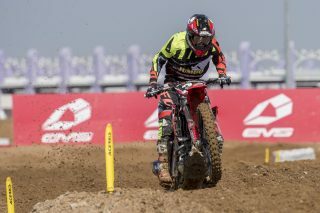 Despite an average start in race two, he made his way into fifth midway through the moto and had the podium spot secured if the positions remained the same in front of him. This wasn’t the case though and he’ll now head to Assen in a couple of weeks’ time looking for a bit of redemption. 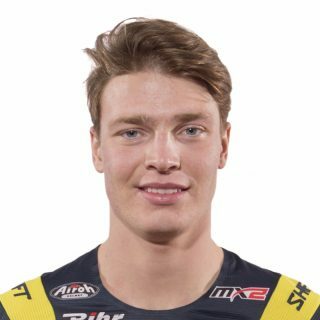 Fellow Honda 114 Motorsports rider Bas Vaessen is also looking forward to Assen, for what will be a home GP for the Dutch youngster and he’ll head there with some good confidence after scoring points in four successive races for the first time this season. After his 9-12 results in Bulgaria last weekend, Vaessen went 12-9 here at Afyon for 11th overall and rode well throughout the weekend. After three MXGPs in three weekends, all the riders will get a welcome weekend off before heading to Assen for a sand-race inside the prestigious TT road racing facility. 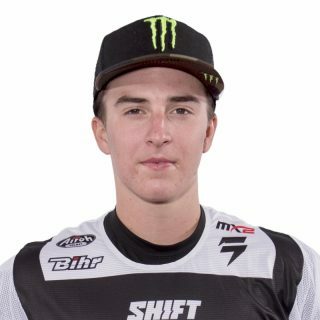 Joining them will also be the EMX250 class, including the newly crowned champion Mathys Boisrame who will be sporting the gold plate after his success in Bulgaria last weekend. The first moto was really positive, I was second and I felt my riding was good. I did have to push pretty hard though to keep up with Thomas Covington and I think that hindered my riding in the second race. I got an average start in that race which didn’t help and I wasn’t able to move forward as quickly as I wanted to but I felt pretty fatigued. It turned into a bit of a survival mode and although I came close to the podium again, I was quite feeling as good as the two previous rounds. Now I’ll recover and get in some sand training before the next round in Assen. I had a pretty decent weekend overall. On Saturday I had one of the best starts I’ve ever pulled, and while I wasn’t able to capitalise on it as much as I would have liked, it was still a good feeling to be riding up front. I also had a good start in the first moto today, but once again I felt like I wasn’t aggressive enough and let some places slip. I was determined to rectify this in race two and while I did come close to crashing, I was much more pleased with my result and my riding as a whole. I had good laptimes and I was able to follow closely the group in front and I look forward to going to Assen for the sand and for all the Dutch fans. With the new venue here in Turkey it was an honour to show our racing teams and Honda performance to the public and fans who witnessed world championship motocross on their home soil for the first time. 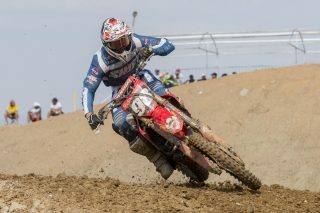 In MX2 we welcomed the return of Calvin Vlaanderen after his first moto injury from last weekend’s round in Bulgaria. It was also excellent to see Hunter Lawrence push for the win in race one here, taking a close second at the flag. He followed this with a fifth in race two and put himself and his CRF250R joint tied on points for third overall but lost out on the podium due to the scoring system favouring the better result in the second race. Vlaanderen and Vaessen also tied on their points haul finishing up 10th and 11th overall.